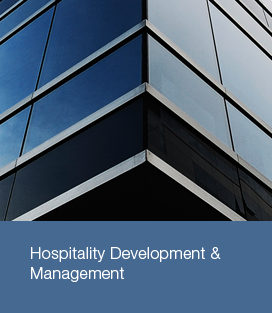 Cannon is responsible for managing the hotel portfolio and handles all aspects of the new development process. Under Cannon's leadership, ShoreRock Group has established a reputation as an innovator in the hospitality industry. Prior to ShoreRock, Cannon worked with top management consulting, private equity, and investment banking firms where he specialized in corporate restructuring and operational turnarounds. Cannon also co-founded a healthcare informatics company called MedOnTime that was sold to CSGI Inc. in 2001. Cannon was appointed to serve on the Galloway Township Economic Development Committee in 2009. Cannon holds a B.S. in Engineering and an M.S. in Engineering from the University of Pennsylvania. Cannon also holds an MBA in Healthcare Management from the Wharton School of Business at the University of Pennsylvania. Kishor L. Ghelani is a NJ Licensed Professional Engineer with extensive experience in all aspects of the design-build process. Kishor has over 40 yrs of engineering and project experience and has owned and operated up to seven hotel properties at a time in the Atlantic City market. Kishor has completed over 50 design build projects in the New Jersey and Pennsylvania area. Kishor began his career with the Atlantic Electric, a public utility company, in the substation engineering group. Kishor holds a B.S. in Electrical Engineering from the University of Bombay and an M.S. in Electrical Engineering from the University of Arkansas. Joe Pettigrew is responsible for overall strategic planning and execution, budget development, sales, marketing, and overseeing day-to-day operations of managed properties. Joe provides guidance at each property to develop standard operating procedures and sell-strategy to maximize efficiency, guest satisfaction, and profitability. Prior to joining ShoreRock, he served in various capacities of executive management at high performing hotels and brands, such as the Renaissance, Loews Resorts, Palms Casino, Residence Inn, and Courtyard. Joe holds a BS in Hotel Management from the University of Nevada Las Vegas. Rajiv brings a disciplined and quantitative approach to revenue management at ShoreRock. Careful management of yield and revenue at the property level provides a strategic advantage to hotels in our portfolio. He is responsible for developing revenue management tools and institutionalizing them into best practices. Rajiv majored in Biology as an undergraduate at the University of Dayton.